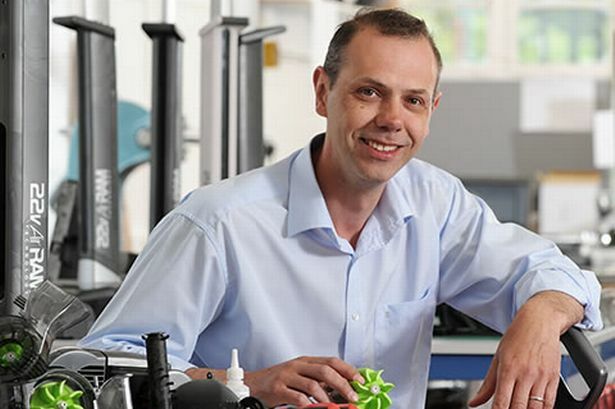 Worcestershire-based Nick Grey was a lab technician with Vax vacuum cleaners when his curiosity and love for all things mechanical took over. He was head of product development at Vax, responsible for strategy and new products when he left, aged just 32, to develop his idea for a cordless, lightweight vacuum cleaner. He had just enough savings to last him 18 months. He launched Gtech from his garage in 2001 and backed by a vigorous marketing campaign, his cordless power sweeper was a runaway success. In 2015 Gtech turned over £66 million and made an operating profit of £12.5 million, up from £4.67 million the previous year. The business is 90 per cent owned by Nick Grey, 48, and his wife Louise, who were paid a £4 million dividend. Gtech has 80 employees. The business has sold more than 22 million products in 19 countries. As well as its Worcestershire headquarters the company has employees in the US and China. In 2015 the business outgrew its headquarters in Spetchley, Worcestershire and moved to a new 30,000 sq ft headquarters building on Shire Business Park in Worcester. The company&apos;s product range has expanded from the original cordless floor sweepers and the Gtech AirRam to cover hand-held cleaners, cordless lawn mowers, hedge trimmers and grass trimmers, and a range of e-bike cycles with electric pedal assist. Gtech sponsors the Worcester Wolves basketball team. Nick Grey was born in Bromsgrove, one of seven children, and went to Aston Fields middle school. After three years in Ireland he studied at Ludlow College. He left school with just two O Levels.